Eyden lived in Indiana. He is best known for his Indiana Impressionist landscape paintings. He studied with W.A. Eden, Sr., T.C. Steele, and Charles Hawthorne. He was a member of the Hoosier Salon, Indiana Art Club, Society of Independent Artists, Richmond Art Assoc., Indiana Art Club, Asheville Art Assoc., and the Bundy Club. 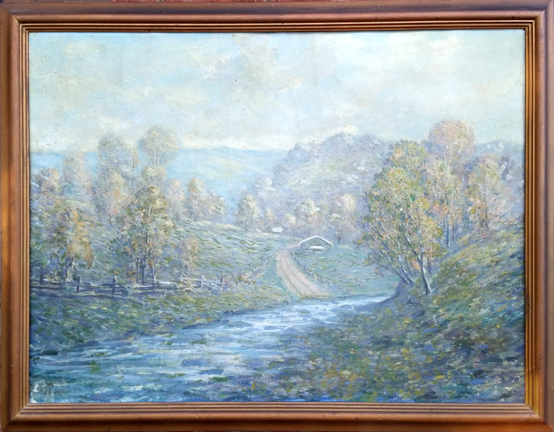 He exhibited at the Pennsylvania Academy of the Fine Arts, Hoosier Salon, Indiana Artists Club, Indianapolis Art Club, and Richmond Art Assoc. He gave lectures on the rhythm and pattern of painting. Artist Last Name Eyden, Jr.